Iceland‘s a very wet country in the cool time of year, and very snowy in winter. 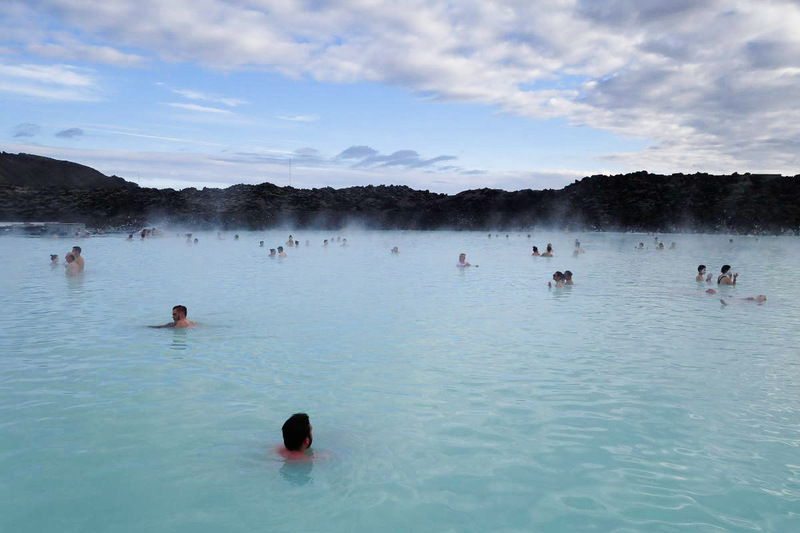 (There isn’t a warm season here to speak of – unless you submerge yourself in hot springs for three months.) So, in terms of H2O here – there’s plenty. 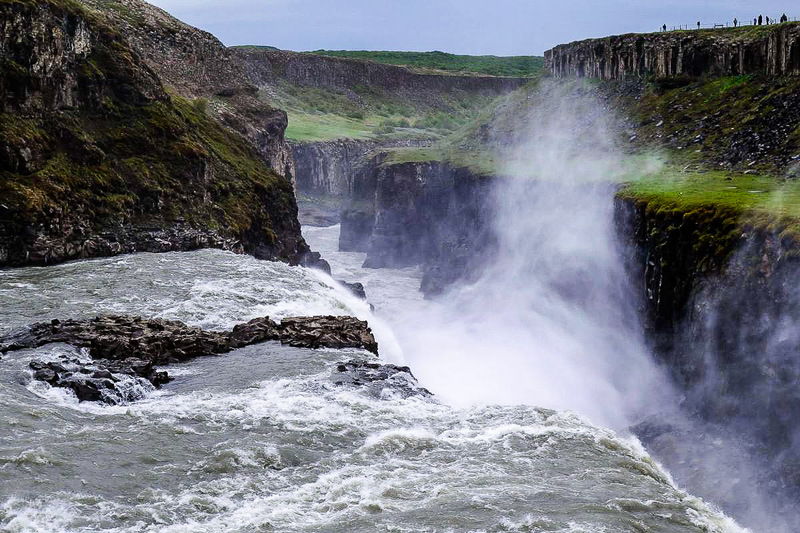 And since there are a great many volcanoes in the country too, the conditions are perfect for a blossoming of the population of Iceland’s waterfalls – of which there are also plenty. Here’s a list of the five main ones we visited in the south and southwest parts of the country, all of which are wholly worthy of checking out in person. Everyone’s got a basic idea of how this planet of ours is constructed, even primary school kids. It goes something like this: in the middle of the planet is the core – the nucleus; then there’s the mantle, and on the outside there’s the hard crust, upon which you’re reading this blog. But the earth’s crust isn’t a single whole piece – it consists of tectonic plates, which float around mostly imperceptibly on the surface of the magma. And they float around in different directions – into one another, perpendicularly, or away from each other. That is, they converge, chafe one another, or diverge from one another. 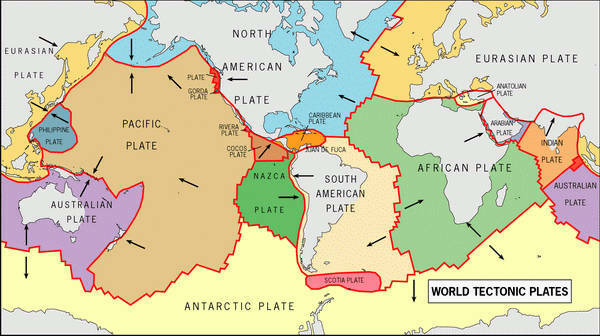 Along the edges of the plates there are frequent earthquakes and all sorts of volcanic activity. 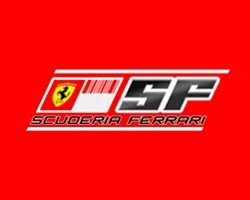 For those interested, check out the links above. Where plates converge are to be found mountains, volcanoes, and their associated features of terra firma. We’re talking: Japan, Kamchatka, the Kurils, the Aleutians, the Andes, the Cordillera, the Himalayas, etc. Places where plates diverge are usually are on the seabed, visible on maps of sufficient quality and detail: here, under the Atlantic for example is the Mid-Atlantic Ridge. It’s here where tectonic plates move away from one another, with the space between them being filled with magma. 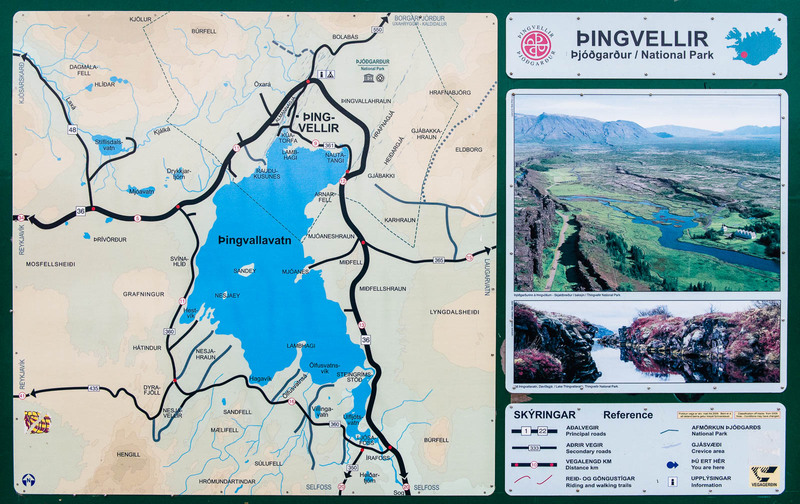 One of the few places where this divergence of plates occurs on land is Iceland: it’s situated along the seam between the North American and Eurasian plates. The former is moving ever-so slowly to the west, the latter ever-so slowly to the east – at a speed of 2cm a year. That is, the width of Iceland increases by two centimeters every year (not taking into account coastal erosion or, just the opposite, the expansion of the land mass on account of lava flows). 2cm a year – that’s two meters a century, 20 meters a millennium, 20 kilometers in a million years. So, if things keep going as they do, in 200 million years Iceland will become the length of Chile, and in in 300 million – the length of Russia! The crack in the ground along the fault line is best observed in Iceland at Þingvellir (Thingvellir). 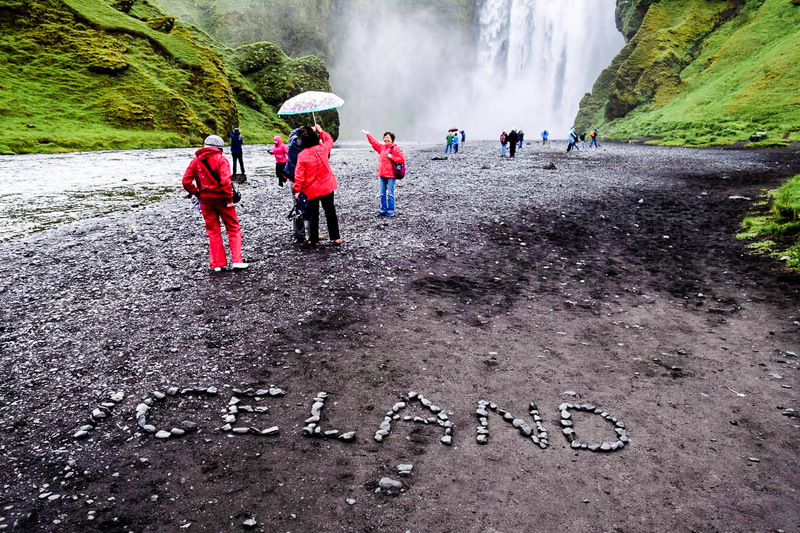 I’d long dreamed of one day getting to the very volcanic island of Iceland for a spot of sightseeing, trekking and leisurely driving. I’d heard great things from friends and colleagues, seen some awesome pics of the scenery there, and heard some of the island’s music, but only recently did I finally find myself spending a few days there after doing some business in the country. Sweeping, grandiose, lush, monumental – just a few of the adjectives that spring to mind when attempting to describe this island after having been there. And now, IMHO, I consider it to be one of the most beautiful places on the planet; and as you know, I’ve seen a lot of beautiful places on the planet. Of course the weather and climate situation here can be difficult, but that’s to be expected when the polar ice cap isn’t that far away… And anyway, it’s a minor drawback given the awesomeness of the island’s volcanoes, geysers and hot springs, glaciers and waterfalls, tectonism (a new word in my lexicon; will tell you more about it later on) and other natural beauty. So stock up on the popcorn, for today and in coming days a series of photo-textual-travelogue posts is coming your way. For starters, a small selection of photographic masterpieces highlighting some of the best bits from the trip. The tiniest biggest country in the world. This here post is the last in my mini-series from St. Petersburg. It continues the ‘places to visit‘ theme, but with a difference; for the place it describes resembles a museum, but it isn’t a museum really, I think. Or maybe it is. It claims to be one… Hmmm, whatever it is, it’s unusual, unique, and a must-see! This is Grand Maket Rossiya! Maket is a Russian word with numerous, similar meanings, but choosing the right one to translate into English can be tricky. This is perhaps proved by the people behind the maket having left it as just that – maket, even though it isn’t an English word. When they describe the place on the site it’s put as a ‘layout’. 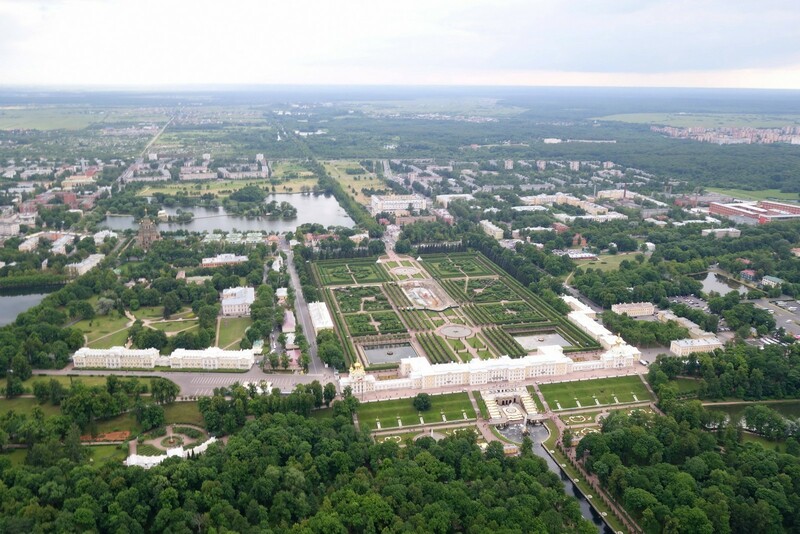 They mean a scale model of the Russian landscape – a miniature version of the layout of the country, making it the smallest maket of the largest country in the world for sure. 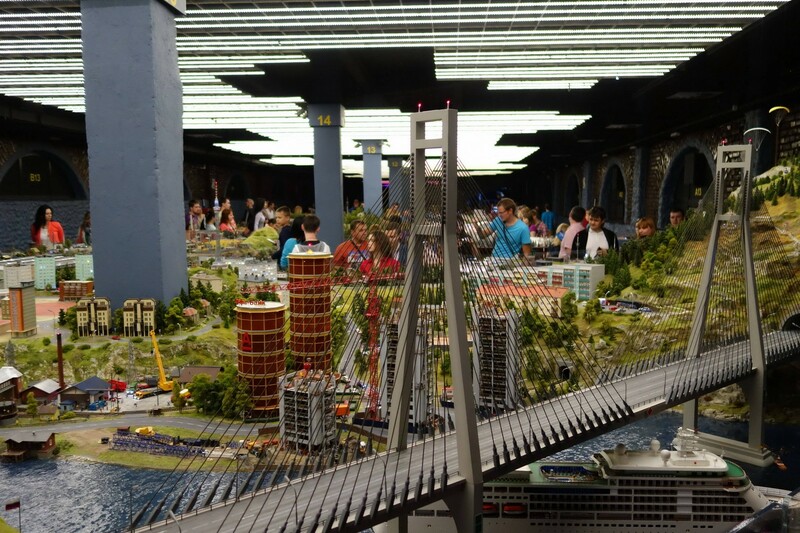 It’s also the second largest scale model of its kind in the world – behind Miniatur Wunderland in Hamburg. Railroad feats in St. Pete. There are different kinds of museums. St. Petersburg is ram packed full of them. It’s like the museum capital of the world. Now, I understand that if St. P’s museums were to be compared with, say, the Louvre or the British Museum, St. P’s may lag behind somewhat. However, considering the very difficult past St. Petersburg has had, its museums are a bit of a miracle. Museums weren’t all that well supported in post-imperial times; the same goes for during the 70+ years under Communism; obviously WWII was a major setback; and of late, post-CCCP, the city’s museums have continued to be somewhat neglected with no generous state or philanthropic sponsors coming forward as they do in the West. Maybe I’m wrong. But that’s how it seems to me. Do correct me if I’m mistaken. In Saint Pete there are the usual suspects: the museums children visit on school trips – the typical, the bland, the traditional, the obvious. So we, naturally, decided to shake things up a bit and go alternative, rebel, renegade! We went to… the Railroad Museum! To get high up and look down and around, say, from up a mountain… it’s always cool and beautiful. But to fly up above for panoramic views of below – it’s even better. And best of all when it comes to flying for sightseeing purposes is the helicopter. 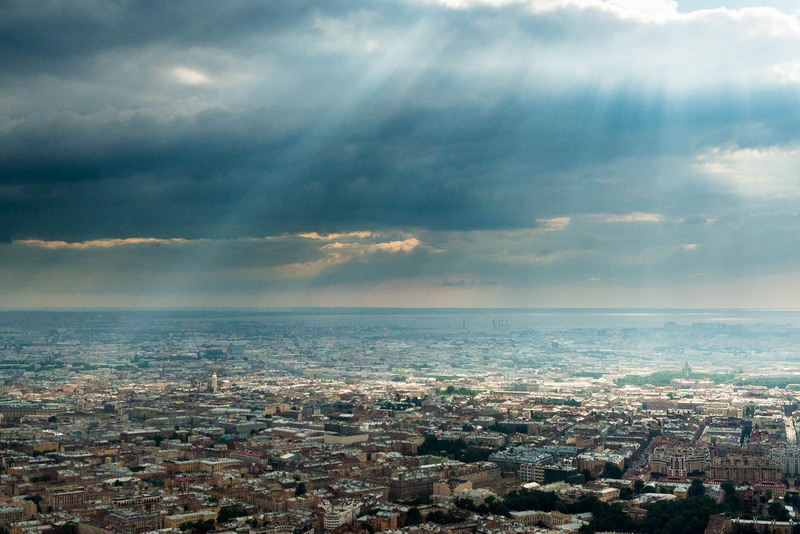 Best of all when it comes to what to check out below…: a beautiful city. 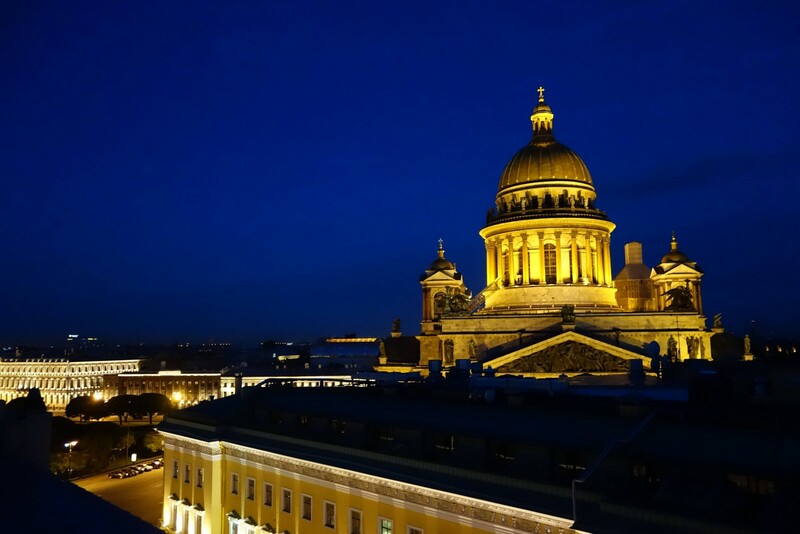 Best of all when it comes to beautiful cites…: one uniquely beautiful like St. Petersburg. Pulkovo – Petergof – Bolshaya (Big) Neva – the Neva – Malaya (Little) Nevka – Pulkovo. St. Petersburg in summer, especially June and July – it’s… tricky. You’ve probably already heard that there’s hardly any nighttime at all in summer, as, well, the sun – well up the northern hemisphere this time of year, just pops over the horizon for a few measly hours, before it ‘rises’ again in the wee hours of the next morning. As a result, days can seem endless; well, they almost are. And you need good thick curtains or an eye mask to get some proper shut-eye of a ‘night’. There’s another thing: you gotta make sure you’re where you got to be before the bridges go up. If they do, and you’re not where you need to be: oops. On the other hand, these bascule bridges have their advantages: what better excuse can there be to not be where you should be (and really don’t want to be)? “Can’t make it. No really: can’t – physically. The bridges are up!”. Like I say, Peter – it’s tricky this time of year. How to help salmon breed. There are all sorts of unusual phenomena in the world – both natural and manmade. Sometimes they’re hunky dory and harmless, like horizontal waterfalls in Kimberley in Australia, manmade cascading falls at the Itaipu Dam, or the stunning sunsets on Santorini. Other times they’re depressingly dreadful and destructive, like volcano eruptions, earthquakes and tsunamis. There’s the static symmetry of mountains and volcanoes; there’s the slow and steady movement of things like tectonic plates, glaciers and snowcaps; and there’s the unpredictable though grimly inevitable things like avalanches and other such cataclysms. There are also freak, flash, or full-on floods, which come and go with intermittent regularity. Floods are what we get when the gods forget to turn the tap off when pouring a bath. So man has to intervene. He can’t get them to stop forgetting, so he has to design and construct large protective installations to drain water that’s just about to cause a flood – to make up for this godly absent-mindedness. One place where heavenly amnesia occurs rather frequently is in the European part of Russia – just off the Gulf of Finland, especially around the delta of the river Neva. And by unlucky coincidence the city of St. Petersburg happens to be situated right there. This is a city known for its heroism, victories and imperial cultural heritage, but also, alas, water-caused catastrophes. Of the latter it’s had more than its fair share. For those interested – here. Still interested? Then simply read the Bronze Horseman. It rules. It’s here btw, with plenty of commentary. St. Petersburgers naturally needed to do something about the flooding. Which is just what they did. 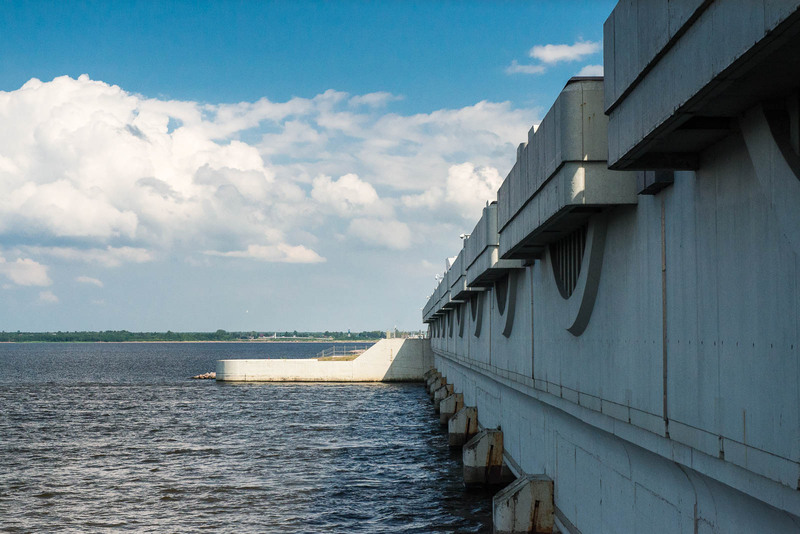 Now, I’d heard about it before, but only recently did I finally get to see it in the flesh sun: around St. Petersburg there’s now a huge dam to protect the city from flooding. Pushkin’s poetic depictions of floods are now thankfully firmly a thing of the long-gone past – and good riddance. Turns out, professional hydraulic designers and technicians scoff at the description ‘dam’ for this fantastic feat of engineering. They prefer: ‘complex of protective installations against flooding’. Doesn’t quite slip off the tongue, but if they insist, who am I to question it? What was needed was a construction that would normally let reasonable amounts of water through from the Gulf of Finland into Neva Bay, but when catastrophically high waves come a-crashing in from the Baltic Sea would create a tall barrier to stop them causing a ruinous flood throughout the city. The installation also had to be able to let ocean-faring ships through on a daily basis, plus also not interfere with the delicate local marine ecology. Plans to build the ‘dam’ were first made as far back as in the 19th century, but construction only started in 1979 (details – here). 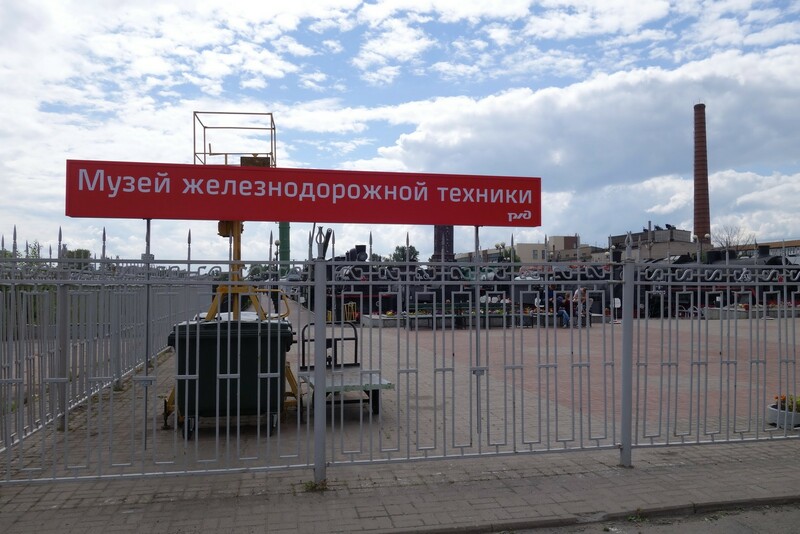 Then of course Communism finally arrived… and at the end of the 1980s construction was halted. Fast-forward to the early-2000s and the abandoned project was resuscitated, and in 2011 it was finally completed; and what they got was something truly damtastic! I tried to find similar flood-control dams on the net but didn’t get very far. They’re all somehow a lot smaller in size. There’s one in London, one in Holland, one on the Elbe… But they’re all tiny compared to the whopping Russian 25-kilometer dam installation. Impressed I was. There is one anti-flood installation that’s on a par – the one being built in New Orleans. When it’s completed it will be bigger; but for the moment the one in St.P is No.1! 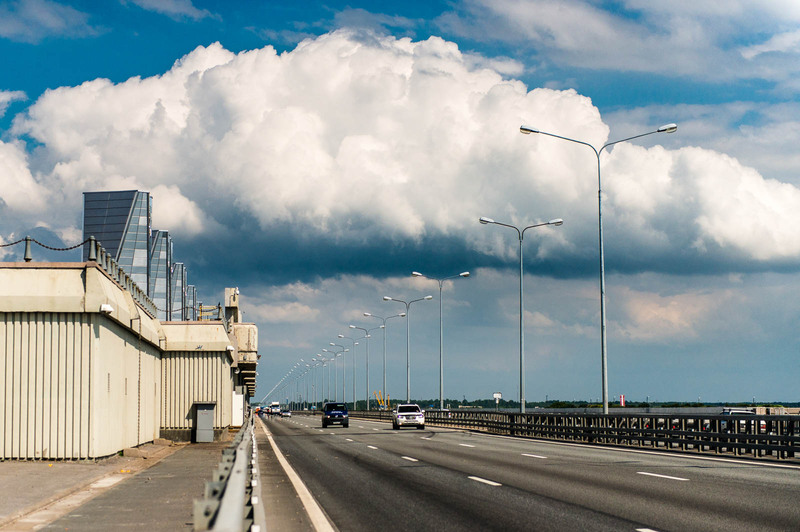 To the layman who may encounter the construction, it’s simply a 25-km-long highway that crosses the Gulf of Finland from bank to bank, much like that one featured in Miami Vice that connects Miami to the Keys (which is much longer – but it ain’t no anti-flood installation:). Smooth tarmac, neat markings and signposts, entry and exit roads…: nice. First – a bit of a long-winded intro. Long-winded, moi? For some unknown reason I recently decided to tot up the number of cities in Russia I’ve been to. I mean just cities, not towns – so, let’s say, places with at least 100,000 folks living there. And I also mean cities I’ve properly visited: in which I stayed at least a few days. Accordingly, ‘passed through’, ‘saw its airport waiting for a connection’, even ‘quickly checked out its kremlin’, etc. all don’t count. It turns out that my total for Russia is 14 cities. Listed from west to south to north to east, they are: Kaliningrad, Pskov, Velikiy Novgorod, St. Petersburg, Moscow, Rostov-on-Don, Novorossiysk, Kazan, Saratov, Volgograd, Sochi, Yakutsk, Novosibirsk, Petropavlovsk-Kamchatski. Anchorage, Seattle, San Francisco, Los Angeles, Las Vegas, Minneapolis, Chicago, Louisville, Dallas, Austin, Boston, New York, Washington D.C., Atlanta, Orlando, Miami. The ‘barred’ cities and towns for the US are: Honolulu (Hawaii), Valdez (Alaska), Sedona (Arizona), Palo Alto & San Jose (California), El Paso (Texas), Page (Arizona), Key West (Florida) and many others (even our office in Woburn (Massachusetts) – disallowed!). Hmmm, let’s see… the USA has just under double the population of Russia (320 million and 140 million, respectively). That means one city of Russia should have a coefficient of two when comparing the two nations’ visited cities… No, that doesn’t work: then I’d have been to the ‘most cities’… in Singapore! (with its population of 5.5 million, 25 times smaller than Russia). 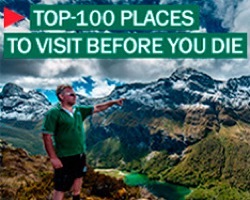 …New Zealand! – 4.4 million persons. We acclimatized and slowly strolled about in Auckland, and spent a night in Christchurch and closely inspected its highlights the next day. Then there was Wellington and Dunedin where we bedded down one night each, but no inspecting – so they don’t count. …Gabon! 1.6 million Gabonese, and I was in Libreville for a few days just six weeks ago. Cyprus! Limassol and… Nicosia and Pathos only passed by – meaning Cyprus not a competitor! (Although there’s just over a million population there). Andorra! Been, strolled, skied – 85,000. But who’s the champion? Monaco! Monte Carlo. Clear leader. 30,000 population. 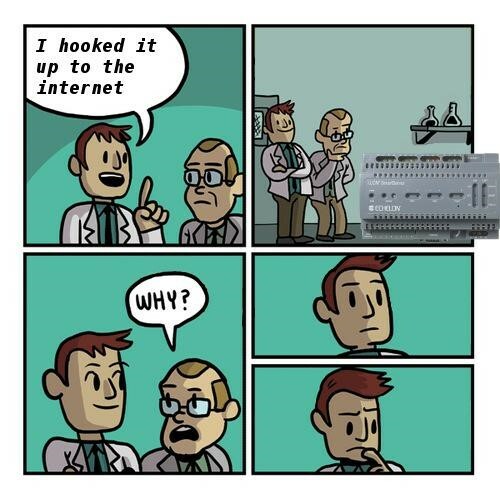 And I’ve been there many, many times. OK, enough math mirth :). Experimental comparison ramblings aside, recently… I was in Saint Petersburg (note to US readers: the original one)! 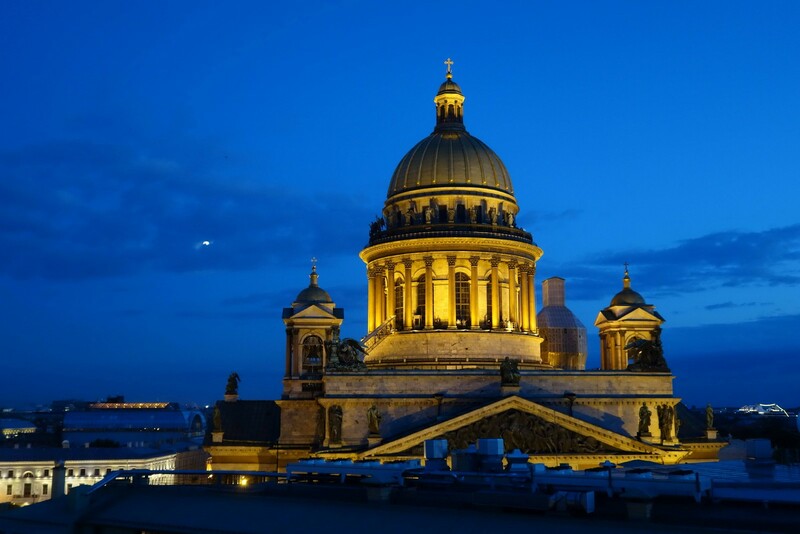 The splendid, saintly, seductive, sensuous, statuesque St. Petersburg. I was last there seven years ago, in the summer of 2008. We had our partner conference there. And since then every year I’d kept promising our Peterites I’d be coming back soon, but always shamefully failing to do so. Seven years I’d been promising. In the meantime we’d opened an office there, we’d then moved to smarter premises, and now 80 KLers work there diligently for the good of the company and the world. A lot has changed, and I was always was promising but dragging my feet. Well, at last, I finally made it up there! Hurray – I’m writing this in St. P: one of the most beautiful cities in the world. So, what have we here that was here last time? 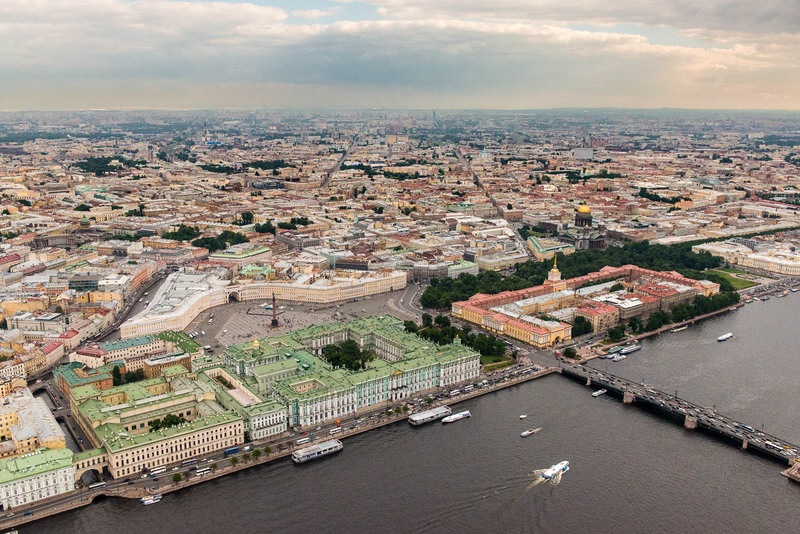 The Neva‘s still flowing through the city, there’s Nevsky, St. Isaac’s, the Admiralty building, Peter and Paul Fortress, and the Astoria; the bridges still open and Petergof is still a real crowd-puller.